Born and raised in Melbourne, Australia, Ruby Hoppen holds a BFA, studying in Montreal at Concordia University and back home at RMIT. 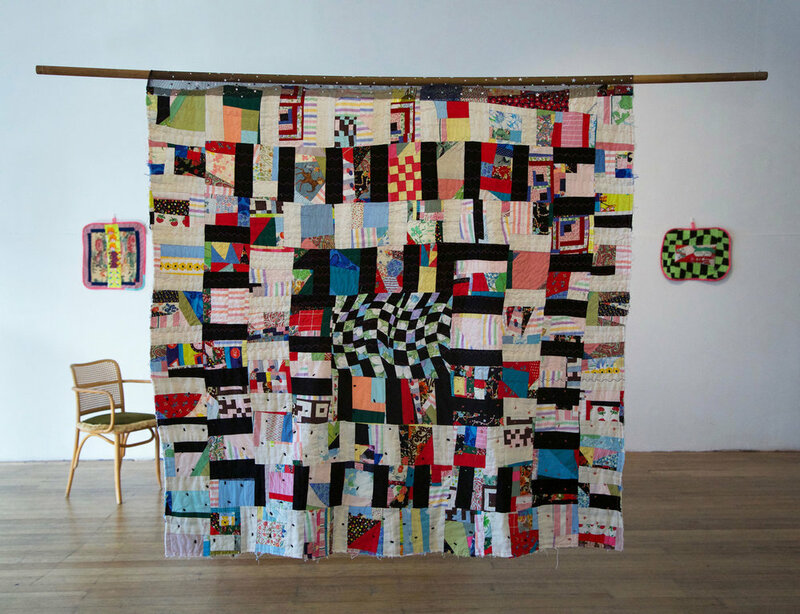 Juggling family life and an art practise, Hoppen has exhibited her work locally and internationally and runs quilt making workshops. She lives and works in Melbourne with her partner, two kids and dog. 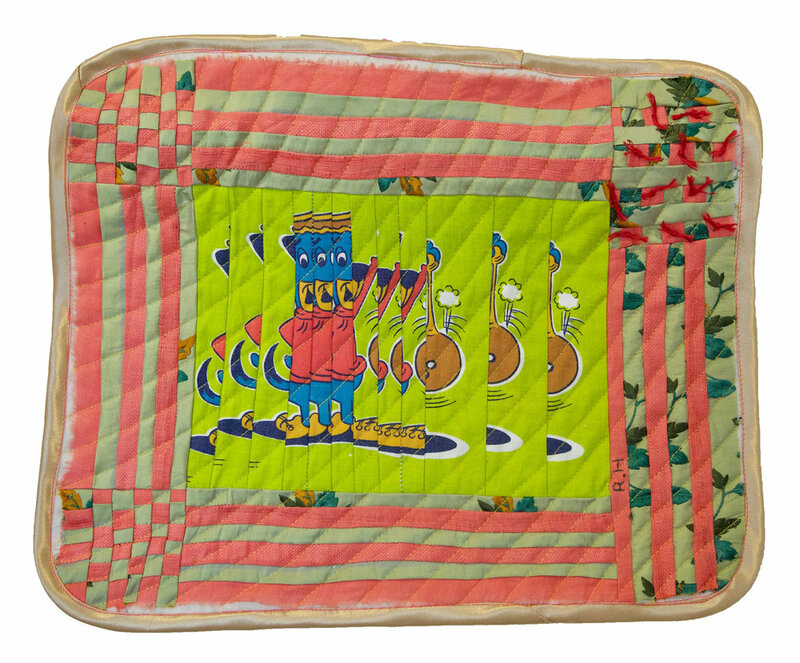 Using mostly found materials and scraps, Hoppen makes her quilts using an instructional framework informed by oral history and symbolism. Hoppen playfully investigates the tropes of ‘women’s work’, pokes fun at domesticity and the under appreciated nature of the Gentle Arts by manipulating found images in old bedsheets and scraps of fabric. By reimagining the role of the woman artist as social commentator, she uses these images to draw out the discarded corners of human existence. Donated clothing, mass produced cartoon printed sheets from a stranger’s childhood, whether it is stained or sun bleached or ripped and discarded, no scrap goes unused.